The Lions Club of Denver does not collect used hearing aids for recycling; however, if you have used hearing aids (both "behind the ear" and "in the canal") and/or batteries, please consider donating them to HEAR NOW. HEAR NOW will recondition them and then assist someone without the means to acquire hearing aids. You should feel really great knowing that you will change a life! 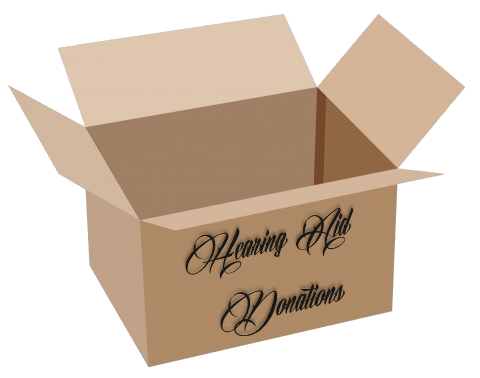 The Lions Club of Denver obtains the hearing aids used in our hearing conservation program from HEAR NOW. Don't forget to include your name and address in the box so that they can send you an acknowledgment letter for your generous gift. A letter of acknowledgment verifying the number of aids donated will be sent to you. HEAR NOW does not provide valuation for donations made. Please consult with your tax advisor regarding the tax consequences of your donation.